This image, entitled "Halcyon" is one of the most popular of my fine art editions. It was captured on Acabonac Harbor in the village of Springs, NY (a tiny hamlet in the famous affluent area known as The Hamptons on Long Island). I have spent many days exploring the east end of Long Island from Southampton to Montauk Point, and have created many wonderful images in this oceanfront stretch of land known as the south fork.I visited this site on three consecutive days at different times of the day. I envisioned the final image, just as you see it here, with the fog rolling in and nary a ripple in the waters. On day three the conditions were perfect and I captured the peaceful scene. A little enhancement work in Photoshop gave the image it’s soft watercolor like feeling, and ultimately printing it on a very high quality Gicleé paper leads many a viewer to think this is a painting, not a photograph.In addition to being a very popular collectible fine art edition in my body of personal work, this image has gathered much critical acclaim. It has hung in two juried art shows at two different venues in East Hampton, NY. It is also offered for acquisition in prestigious art galleries in The Hamptons, New York City and Ottawa, Canada.A couple of side notes: The title of this image "Halcyon" is a reference to a mythical bird who has the power of charming winds and waves into calmness. Though often jokingly asked by other fellow photographers (who’s works were displayed alongside this one) I had no hand in the sinking of this boat. I’m truly grateful for being blessed with the ideal environmental conditions under which I captured this image. 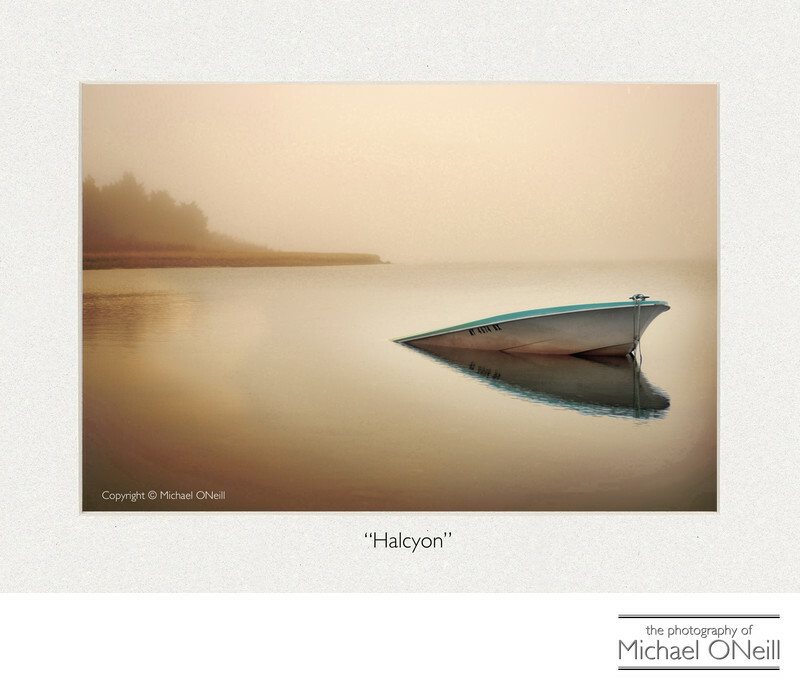 A few days after I took this picture "Halcyon" succumbed to the sea, sinking for good.